The $16$ words below may be partitioned into $4$ groups of $4$ thematically connected words. What are those connections and groups? The puzzle format is from BBC Television's quiz show Only Connect. This wall is probably more suitable for Puzzling.SE than the show (although the shows are tough). If you look at this information (including removal of the possibility of other, incorrectly identified, groups), please do upvote their finds! (Infact, do if you look at their spoiler text also). ...is connected by a property of something often seen here and there on Puzzling, sometimes in the puzzles, sometimes in comments, and occasionally even in chat; have a look around and see what is the same - I really do hope it does not irk/vex. 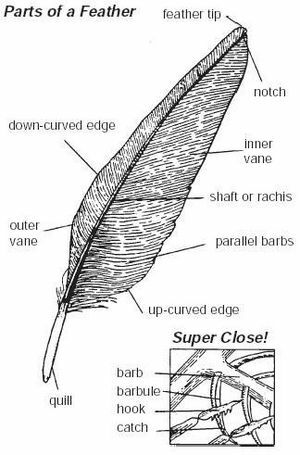 SPARROW, BOND, BOOK, SHAFT: types of "jack/James". Jack Sparrow, Book of James, James Bond, jackshaft. I think colours and stock options are obvious red herrings here. I've got three other groups, but I can't make sense of the four words that are left. Shift, Control, Option and Alternate are meta keys on a computer keyboard. Flap, Sparrow, Black and Navy can be combined with Jack to give Flapjack, Jack Sparrow, Black Jack and Navy Jack. Book, Green, Stock and Lane are things that can be kept by bookkeepers, greenkeepers, stock-keepers and car drivers respectively. Red, Fra, Bond and Shaft are left. I've no idea what could link them, which probably means I've got some of the other groups wrong. BLACK, RED, LANE, STOCK can all be preceded by the word "Penny" - Penny Black being a rare stamp and Penny Red being slightly less rare stamp , Penny Lane a hit Beatles song, Penny Stock being a low priced share of a company. SPARROW, BOND, SHAFT and GREEN are all film characters whose first names start with J (Jack Sparrow, James Bond, John Shaft). I did consider including BLACK in here but Jack Black is an actor rather than a character (except in Tenacious D & The Pick of Destiny). J Green is a guess. OK, this is where I have no idea. Book, Fra, Navy, Flap? I think this may be the first time in history that I have added THREE answers to a question. Inspired by your comment that we must be running out of combinations, I took all the ones you've indicated are incorrect and wrote a quick Python script to generate all the other possibilities. Movie names. There are lots of movie names in this list so I chose the remaining ones. Colors. This one is quite obvious. Everything is related to the stock market: "stock options", "brokers book", obviously "stock" and qouting Hugh Meyers "FRA is Forward Rate Adjustment and belongs with the stock market group". James - Book of James, James Bond, Fra James, James Green? "Words that have a single vowel, and it is an 'A'". Could it be that 4 of these words (G4-ID12) are still words when you drop the first two letters? (straw clutching) Sparrow = Arrow, Fra = A, Book = OK, Shaft = Aft? - The remaining group could be seal as explained above? Everything is related to the stock market: "stock options", "brokers book", obviously "stock" and "bonds". I have no idea yet, I just made 3 groups and this is all that's left. Still thinking of this. All of them are colors (or colours, depending where are you from). Airplane related: "Flaps", "takeoff lane", "shifts", "shaft". 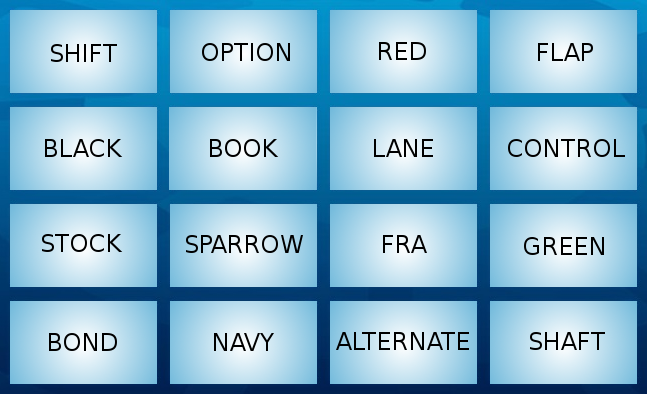 Black, Red, Lane, Stock identified as (2) by ArgumentBargument"
Sorry about posting yet another "JACK"
FLAP, BOOK, SPARROW, FRA; Assuming FRA as short name for the Frankfurt Airport, these all have to do with flying. SPARROWs fly, birds FLAP their wings to do it and you can BOOK a flight to do the same. GREEN, NAVY, BOND, SHAFT; These are all military words. GREEN is the color of the military; The NAVY is part of it; So is James BOND; A SHAFT is part of guns, including military ones. GREEN - Grass Roots Environmental Education Network? Using the two aforementioned found groups as 1 & 2. My #4 is admittedly a little weak but I think #3 is pretty good. Flap, Book, Stock and Fra... Which all share the characteristic of: not belonging to any of the other three groups. Haven't figued out how the rest sort themselves out if this really is a group though. Things to do with pirates: Sparrow - Jack Sparrow from Pirates of the Caribbean, Navy - Enemy of Pirates everywhere, Bond - Bond Pirates is a Rugby Club on the Gold Coast of Australia, FRA - This one took some looking, but I believe it is the Swedish Government Agency called the National Defence Radio Establishment and one of their opponents is the Pirate Party of Sweden. Things to do with jackets: Book - Book jacket, Green - The Green Jacket is awarded to the winner of The Master's Tournament in Augusta, Georgia, Shaft - Used in cars, Flap - either coattails or a blurb on a book jacket. Anyways, I enjoyed this question so much that I joined just to share my answers. Connection: All can have last letter replaced by Y: Flay, Bony, Booy, Fry. If you're not happy with Booy, it might be that they can all have their last vowel plus any trailing consonants replaced with a Y, giving FLY, BY, BOY, FRY. That could also apply to SHAFT->SHY and GREEN->GREY. connection is actualy a correct connection or not, even if nobody yet has got the correct members of it....? Connection: flag. Green flag is a British roadside assistance company, a flag has a shaft, a flag book is a type of sculptural artist book invented by Hedi Kyle, and a flag flaps in the wind. Leaving fra, bond, sparrow, navy. I can't find a connecton for that though. FLAP, SHAFT, NAVY, SPARROW; All pertain to flying. 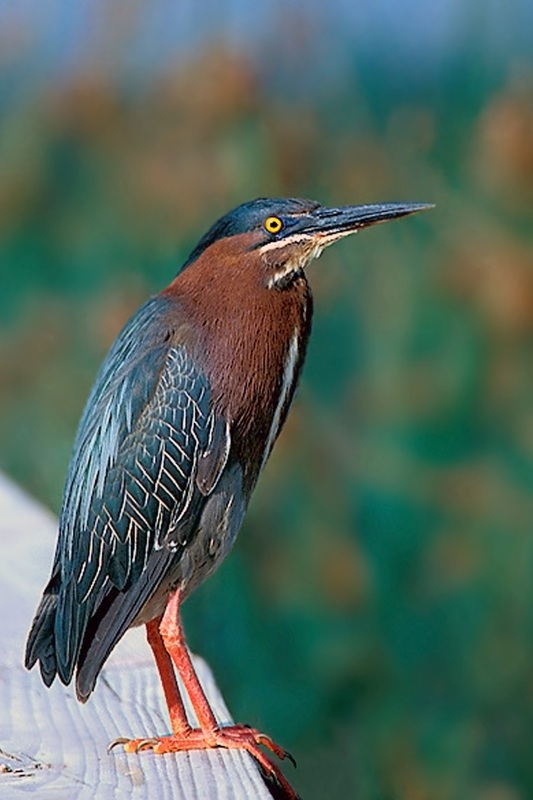 Flapping wings allows animals such as birds to fly. The shaft of an airplane's engine contributes to its ability to fly. A navy can own many types of airplanes. 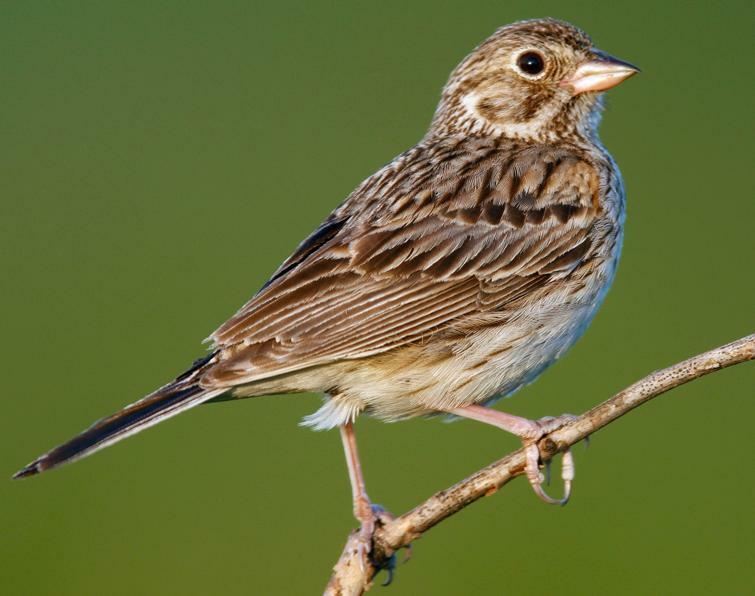 And a sparrow is a bird capable of flight. BOOK, BOND, FRA, GREEN; All have types of cards associated with them. A green card is used for immigration. Bond cards can be used in place of driver's licenses when you are pulled. The FRA (Federal Railroad Administration) has credit cards that are kept by card holders. Lastly a card used to get books is also known as a library card. Posting another answer because it has nothing in common with my previous answer. Grant Shaft drive is a kind of motorcycle engine, Bond Grant is a comic book artist, Fragrant is a word. "Navy grant" is quite weak.... but the terms seem to go together on google quite a bit.... Yeah yeah I know. A grass flap is the thing that goes over the back of a lawnmower to stop the grass flying out, green grass, sparrow grass is a slang name for asparagus, there is a book called "Grass". Quite honestly it's all fairly weak but no-one else has anything better yet so I thought it was worth another go! Again I am relying on the two groups already identified. SPARROW (Johnny Depp), NAVY (flag), GREEN (fish), SHAFT (machine part), FLAP (oats+butter+sugar). which is a shame because I'd rather hoped BONY/FRY/FLAY would work out. (Though the best fourth I can come up for that is NAVY which is obviously a total cheat.) All three of those are finance terms, but I don't think any of the other five are. BOOK, FRA, GREEN, SHAFT. I can't see the connection yet. BOND, FLAP, FRA, and NAVY form a group. Fra is short for Francis, and the group refers to Francis Godolphin Bond, an admiral in the Navy - where he would have worn flaps on his shoulders. It feels too perfect to be correct, but who knows. BOOK, GREEN, SHAFT, and SPARROW. Uhm... The green sparrow (a weapon with a shaft) known from comic books?